Phew. If you have been keeping up this week, you have already read the Overview of Rowing, Terms you Hear, Boats Explained, and How to Regatta. 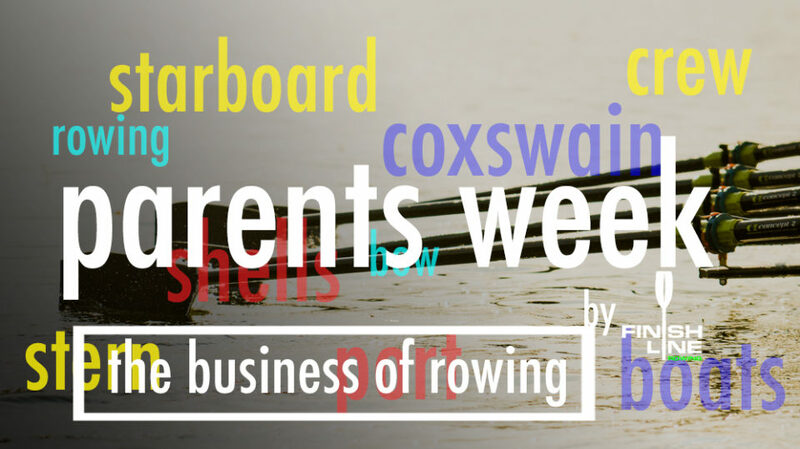 To wrap up this week, we are going to attempt to efficiently break down The Business of Rowing for you. In an effort to keep this post from being 40 pages long, we are going to give you the short version now, and will continue to expand on this topic through out the fall. Today we will highlight: Managing inventory, Maintaining equipment, Buying equipment / Turning over equipment. The first time you arrive at the boathouse, its hard not to be in awe of the boats and oars. But look around. Look at all the other little equipment. In addition to boats and oars, you will see cox boxes, megaphones, lots of life jackets, tools, spare parts, coaching launches, engines, gas cans, more tools, boat slings, boat racks, repair materials, a trailer, tools for the trailer, and probably 200 small odds and ends that we aren’t mentioning. For conversations sake, lets do some quick math. Lets assume your program owns 6 boats. Four 8+’s and two 4+’s. Maintaining the equipment might seem obvious, but trust us, as a company that fixes equipment every day, you would be amazed at some of the boats we see. Maintaining equipment can happen a few ways. First and probably the one that makes us the most crazy. Tape over a puncture is not a permanent fix. Just wanted to be sure you read that twice. We strongly recommend the following approach to maintenance. 1. Review each boat at the beginning of each season [spring, summer and fall] to make note of condition. 2. Review each boat at the end of each season to address any punctures through the carbon. 3. Build a budget to fix punctures after each season [or as they happen if they are serious]. Putting aside $2,500-$5,000 [depending on the size of the team and fleet] each year for puncture repair is a good strategy. 4. Depending on how often you turn over your equipment – Build a budget to refurbish your boats every 6-8 years. Refurbishing your equipment will keep it looking new and keep the value up! 5. Lastly, keep the equipment clean and stored properly when not in season. Keeping parts in rubbermaid containers during the off season can keep them from becoming nests for squirrels, bugs, and other critters, and keep them lasting longer. Full disclosure. CJ can talk about this for hours, but we will keep this short and to the point. Call him to discuss in extended detail. 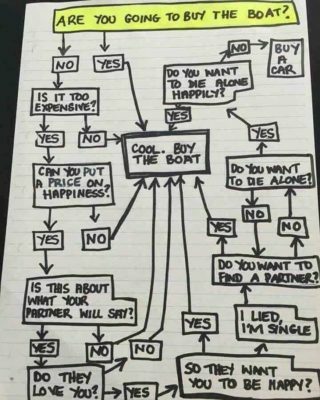 There is more to buying a boat than simply calling a manufacturer and ordering a new 8 or 4. Each of the manufactures makes good equipment. You need to make sure you have a strategy. Start with this strategy document. Its a good place to begin. How does this fit the equipment strategy and turn over plan? Are you considering new? Should you consider leased or a used boat? What manufacturer bests suits your needs? How hard is it to get parts? Is this boat used regularly? What is the value of this boat if we sell it? What is the value of this boat if we keep it [but dont row it regularly]? How much money does this boat take to maintain it annually? Do we have room/rack space for this boat? If dont have a turnover plan and are interested in a turnover plan or strategy that is specific to you, let us know. CJ is happy to build a custom plan for you to help your team further. Reach out to him at cj@finishlinerowing.com.